One of the great joys of being a wine lover is discovering small wine areas – particularly in France, where the well-known wine regions tend to dominate the wine scene. Given that the Savoie wine region in France produces only about .5% of all French wine and only around 8% of the production is exported outside of the area, it’s quite likely you’ve never heard of Savoie wines. 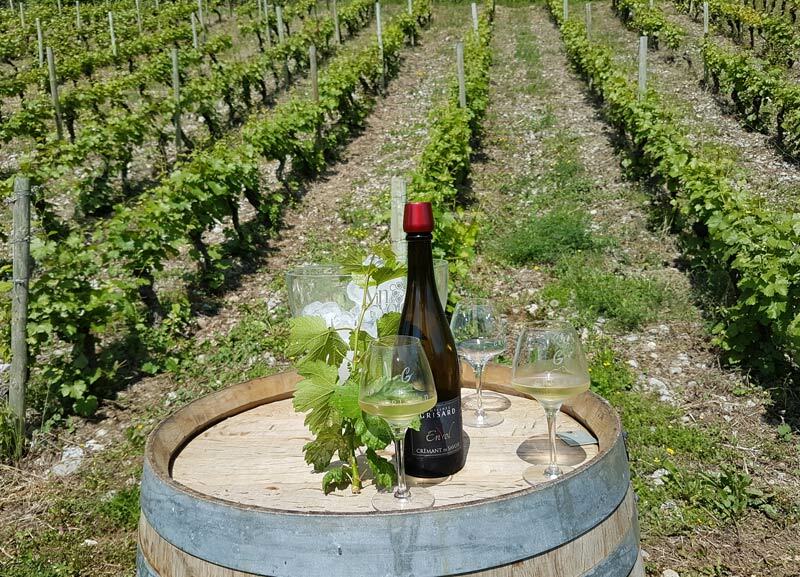 A wine tasting trip in Savoie takes you far from Bordeaux, Burgundy and the Loire Valley and gives you an opportunity to try exciting and rare grape varietals that you can’t find anywhere else. The passionate winemakers in this region have done a lot for the future of Savoie wines, and you can discover that excitement for yourself by visiting a few key wineries. The Savoie wine region is located at the foothills of the Alps, in the north-western corner. The region is distinctly alpine, with towering white-capped mountains and pristine lakes all around. The vineyards themselves are adapted to this mountainous environment, growing sometimes on 80-degree slopes that seem to touch the sky. The Savoie region produces 23 different grape varietals, due to the great diversity of the soil and terrain. The soil conditions change so quickly from one plot of land to the other that you could easily walk past three or four different types of soil in under 5 minutes. It will be very rocky in parts, and very sandy in others. Until a decade ago, the wines of Savoie were mostly drank at nearby ski resorts, and the most popular white wine of the region, Jacquere, was primarily used for making fondue. However, as with many wine regions around the world, the quantity over quality trend is over and the perception of Savoie wine is rapidly changing. Now is the time to experience the Savoie wine region for yourself, to see the incredible strides winemakers in this beautiful region are making. A wine tasting trip to Savoie can take on many forms. Because it is an alpine (read: winter) destination for most, you may be planning to do some wine tasting in between skiing or other winter sports activities. 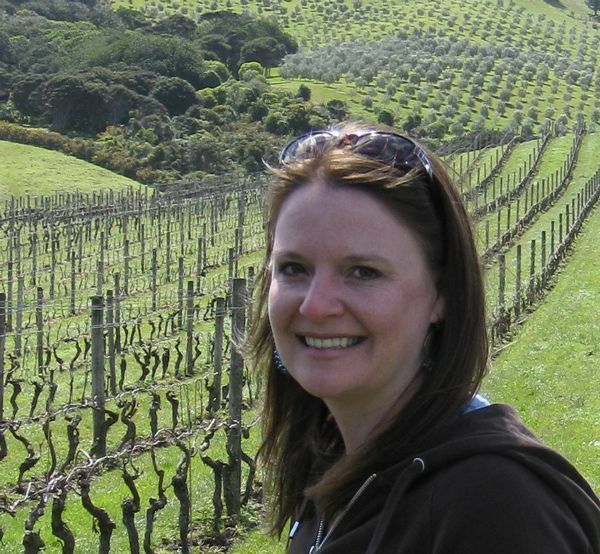 However, my favorite time to visit the area for wine tasting is in the spring or fall when the buds on the vines are just starting to show or when the leaves change color and light up the vineyards with bright reds and oranges. No matter when you plan to visit, you’ll find many wineries in the four main AOC departments of Savoie (Savoie, Haute Savoie, Isere, and Ain) that are happy to welcome you. Within the 2200 hectares of Savoie, there are 4 main AOCs (Appellation d’Origine Contrôlée) and 22 cru (village names. 80% of the wine produced in these areas is white from the grapes Altesse, Jacquere, Verdesse, Chardonnay, and Roussanne. Don’t let that get you down if you’re a red wine drinker. There are red grape varietals as well, like Mondeuse, Gamay and Pinot Noir. For the purposes of touring the area, focus on no more than one of the three main wine routes per day. PRO TIP: Keep in mind that some of the wineries may not have English speakers available to help you. If you don’t speak French, or would rather not put together your own wine-tasting itinerary, we highly recommend booking a wine tour with alpine wine specialist, Bernard Vissoud of Alpes Flaveurs. Bernard can set up just about any type of wine-tasting experience you wish, from a full or multi-day itinerary to unique experiences like picnics and boat rides. All of his tours are private, adaptable to fit your needs, and can be arranged for even just one person. ⇒ Contact Bernard to set up a tour. One of the most revolutionary wine makers in the Savoie Wine Region, who has contributed a great deal to the development of the quality and progression of wine making in the region, is Philippe Grisard. He has 21 hectares of vineyards in the small village of Cruet, in the Bauges Regional Natural Park. The variation of soils allows him to grow 12 different grape varietals, from which he makes 20 different wines. His focus is on the redevelopment of old, and nearly forgotten, grape varietals. At this winery, you’ll have a chance to try a rare white Mondeuse wine (Mondeuse Blanche), which was discovered to be a parent of the red Syrah grape. Philippe is one of just a few winemakers who have planted the white Mondeuse grape, along with a few other rare local alpine grape varieties that you won’t find elsewhere. Persan is another such grape that Grisard rescued from obscurity, and one that is very difficult to grow. It produces a wine that has peppery and herbal notes, smooth tannins and refreshing acidity. He also makes wine with Altesse, Jacquère, and red Mondeuse varietals, as well as a sparkling Cremant. My favorite is the Fleur de Savoie, an Altesse that is fermented and aged in oak barrels, with a fresh and spicy nose and a creme brulee finish. With 11 hectares located in a hamlet called Tormery in the town of Chignin, winemaker Yves Girard-Madoux has been growing grapes and producing wine since 1988, taking over for his father, who was one of the first to replant grapes there in 1960. Many of his vineyards are on steep slopes directly outside his winery. Although he is now exporting around 3% of his wines outside the country, the only opportunity you’ll get to try these fantastic wines is visiting the winery or finding one on a local restaurant wine menu. Here you will find a Chignon Bergeron that is aged 6 months in the bottle that has bright citrus and fresh notes of apricot and white peach, and an Altesse that has a much richer, rounder profile and pairs well with rich cheeses and lobster. You’ll discover another of Savoie’s nearly forgotten grape varieties, the Verdesse, which has been replanted in the area now that the climate has changed enough to sustain it. It has a nose like Sauvignon Blanc – grassy and herbaceous. For red wine, you must try the Mondeuse. It’s my favorite of all Savoie wines for its spicy and pepper notes. Due to its abundant smooth tannins, this wine can age well for 10 years or more. While you’re there, also be sure to try the late harvest wine made of Roussanne and Altesse. Hours: Every day after 5pm. Saturday all day. Closed on Sunday. ⇒ Contact Yves Girard Madoux to set up an appointment. The first wine I ever tried from Savoie was a Mondeuse from Domaine Jean Vullien. It was served during a pairing dinner I attended in Seattle. I fell in love with it immediately. I’ve always been attracted to bold reds with strong black pepper aroma and flavor, and the Jean Vullien Mondeuse was exactly what I love. A few years after being introduced to this wine, I had my first opportunity to visit Savoie and to fall in love with the region, as well as the wine. Domaine Jean Vullien is is made up of 34 hectares of vines at the foothills of the Bauges Regional Natural Park, where they grow several white varietals, including Jacquere, Chardonnay and Roussanne, as well as red varietals: Gamay, Pinot Noir and Mondeuse. Owned by winemaker Nicolas Ferrand, Domaine des Cotes Rousses was formed purely out of passion for winemaking and the natural surroundings of the Savoie. Nicolas uses only natural growing methods – his operation is completely organic and biodynamic. He wants his wines of speak of the terroir and soil they were grown in, without interference from outside factors. Much like the vineyards we’ve already spoken about, the Domaine des Cotes Rousses vineyards are planted on the slopes of the Bauges National Park, from 350 to 580 meters above sea level. The soil is made up of red clay, which is how the winery earned its name. With just over 5 hectares, Nicolas has planted Mondeuse, Altesse, and Jacquère grapes. He’s also recovered some plots of Chardonnay, Pinot Noir and Cabernet. He ages and stores his wine in a cellar on his family farm. You can make a visit to the winery by contacting Nicholas by phone (06.62.52.70.64) or through his online form. Located just north of Lake Bourget, in the town of Ruffieux, is where you’ll find Cave de Chautagne. The Chautagne area’s alluvial plain was created by two large glaciers colliding, which formed Lake Bourget and made the soil and natural surroundings what they are today. The Cave de Chautagne is a collaboration of 50 winemakers from Savoie who are making great strides to both improve the quality of wine and preserve the natural heritage of the area. The vineyards of Cave de Chautagne, all planted on the steep slopes surrounding the lake, equal around 135 hectares, from which the annual production is 7,500 hectoliters. Because the soil here is more favorable to red grape varieties, you’ll find more Gamay, Pinot Noir, Cabernet Sauvignon and Mondeuse in this area. That diversity leads to many different styles and types of wines that you can try in the Cave’s tasting room. In fact, there are over 20 different cuvees to choose from. When you visit, save time to walk through their sensory experience, where you can smell, see and hear the wine making process. Hours: Mon – Sat 9am – 6pm (7pm during summer) (closed for lunch). Opens 10am Sunday and holidays. For more wineries to visit in the Savoie wine region, check out the Savoie Mont Blanc resource on wineries in the area. We also recommend getting in touch with Bernard at Alpes Flaveurs to help you arrange an itinerary to the smaller, family-owned wineries that may be difficult to set up on your own. Getting to Savoie is relatively easy, no matter where you’re coming from. If you’re flying in from an international destination, the best airport is Geneva International airport, but you can also fly into Lyon or even Chambery. From Geneva or Lyon, you can rent a car and drive to the Savoie region within 40 minutes. If you’re coming from within Europe or the UK, you can also take a train to Chambery, with just one change in Paris or Lyon, from most major cities (like London, Brussels, or Amsterdam). It takes about 3 hours on the train to reach Chambery from Paris. The TGV train system can take you onward to other cities, like Annecy. If you’re headed to the area and want to learn more about what to do and where to stay, check out our guide to three of the most beautiful cities in the area. It is recommended to have a car to get around the area. There are public transportation options, but you won’t have the flexibility to get around like you would with a car. You are really spoiled for choice of where to stay in Savoie, because the region is so large and easy to get around. You could stay in one of the major cities of Annecy, Chambery, or even Geneva. However, our recommendations are two very special, very unique places that exceed all the other options. If you are looking for somewhere remarkable to stay during your Savoie wine trip, you absolutely must check these out. I can’t begin to express how magical this place is. It will exceeds your expectations from the moment you arrive, and continue to surprised and delight you until you leave. Chateau des Allues is that place you never want to leave and are so glad you found. The 12th-century castle located at the base of the Massif des Bauges mountain range, with absolutely stunning views, was completely remodeled and turned into the most charming Bed & Breakfast by owner and host, Stephane Vandeville. There are five guestrooms, each individually decorated, plus three cottages that are rented by the week. Stephane is there to make you feel welcomed and at home. He’ll show you around the house, stop for a chat when you see him in the garden, and he joins his guests for an aperitif and dinner. It feels almost like you’ve just arrived back to somewhere you’ve been dozens of times. Your stay includes a wonderful breakfast, with many homemade specialties, like yogurt, cakes and jams. You can also include dinner in your stay, which I highly recommend. Stephane is an excellent chef and he and his team make a nightly 3-course meal for all the guests to enjoy together in the dining room, starting with drinks and canapes. It’s a great way to socialize with the other guests and it adds to the already welcoming ambiance of the place. ⇒ Read reviews on Trip Advisor or book a stay. Why stay in Chambery when you can stay at Chateau de Candie, just 5 minutes outside the city center? It’s the perfect base from which to do some wine tasting in the Savoie wine region. As you drive up to the house past vineyards and forest, you’ll start to get a sense of what gives Chateau de Candie that extra bit of magic. The 14th-century chateau was meticulously restored, but still maintains its regal charm. There are 25 individually decorated rooms that are large and comfortable, each with period features, very comfortable beds, and views of the Savoie countryside. Your stay also comes with complimentary wifi, tea, coffee and breakfast. With so many room choices, you’re sure to find one that suits your needs. We stayed in a Prestige Suite and were blown away by the size and luxuriousness it offered. If you’re looking for a bit of relaxation, Chateau de Candie has a pool and spa and beauty treatments. There are two restaurants: the casual Cantine, serving French classics for lunch and dinner, and L’Orangerie for fine dining. When the weather is nice, you can sit outside in the garden and enjoy the surrounding beauty while dining on a beautifully-prepared tasting menu. For wine lovers, the Savoie wine region is a true hidden gem. Not only are the wines very high quality, the experience and the views are an incredible added bonus. While it may not be as easy to visit as some of the other wine tasting regions in France, all it takes is an email to set up a tasting, and they welcome guests with open arms. Disclaimer: This post contains affiliate links. If you use the links to make a booking, we will receive a small commission at no extra charge to you. Last wine tasting I did was in sirince turkey, I wouldn’t mind visiting here just for the wine! I’m sure you’d love it, Onyi! It’s beautiful.